Everybody loves going to the movies so why not go on Frank’s dime? Everybody loves going to the movies so why not go on Frank’s dime? 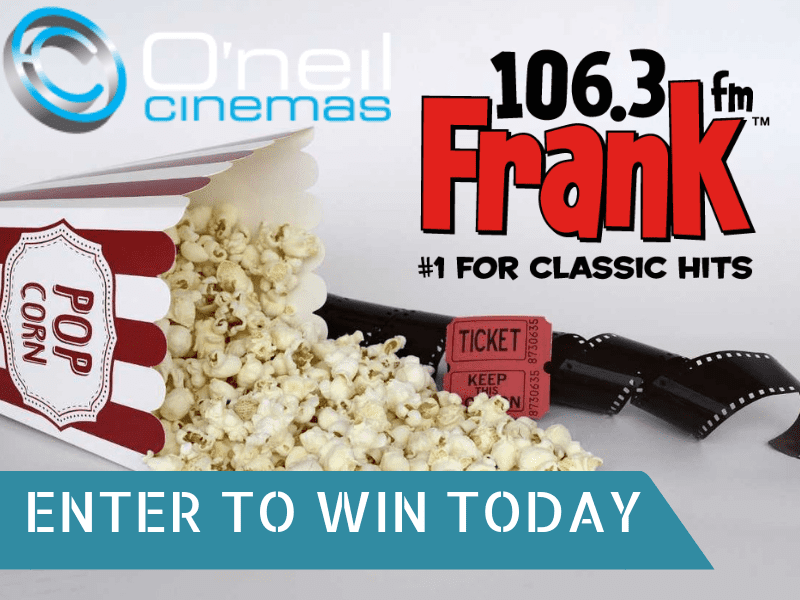 Fill out the form below for your chance to win a pair of O’neil Cinemas Movie Passes! O’neil Cinemas in Brickyard Square in Epping is a great place to catch a flick with or without the family. Check out what’s playing and plan your next date night at O’neil Cinemas!